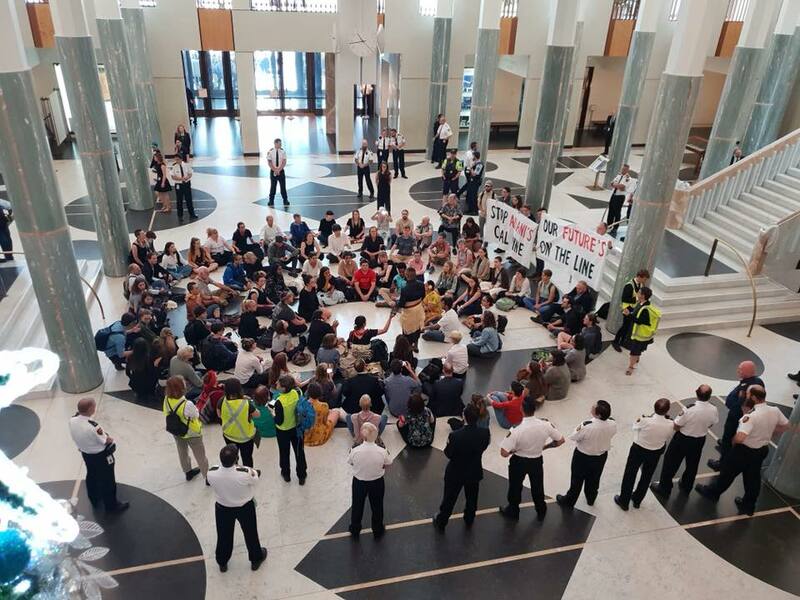 About 100 students peacefully occupied the Parliament House foyer, making speeches, singing songs and chanting. "As young people, we are fighting for our lives. 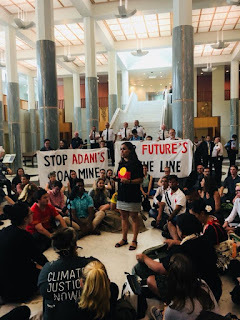 Politicians are failing to do their job, and we’re at Parliament today forcing them to face up to the impacts of climate change we’re experiencing right now and demand they stop Adani’s dangerous coal mine,” high school student Nosrat Fareha, 15, said. “I’m here today because people from my community don’t want Adani’s mine to go ahead. Queensland is literally on fire with unprecedented bushfires and extreme heat, fuelled by mining and burning of coal. 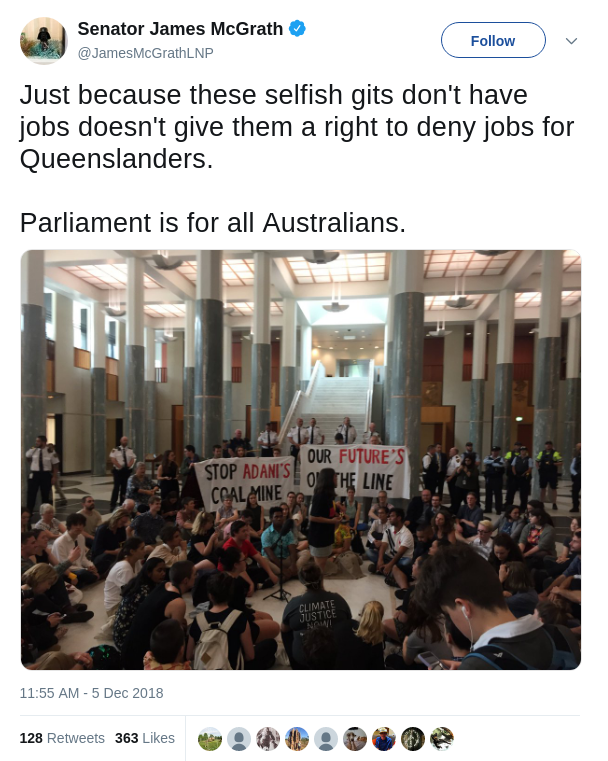 In Townsville, we need jobs that are sustainable and don’t compromise our safety or the places we love,” Tully Bowtell-Young, 14, of Townsville said. “Over two million Australians have taken action in the #StopAdani campaign. They know how much is at stake for the people and places we love if this mine were to go ahead, and they are willing to do whatever it takes to stop it,” Gemma Borgo-Caratti said. Police Inspectors tells students time to move on, students start singing to drown him out. Labor's Climate and Energy spokeperson, Mark Butler, gets it. This is an excerpt of a speech he made in parliament while the students were occupying the foyer. Read his parliamentary speech. Although students are highly critical that Bill Shorten, leader of the Federal Parliamentary Labor Party, still has not committed to Stop the Adani mine, if Labor are elected to power in the Federal Election due in the next 6 months.